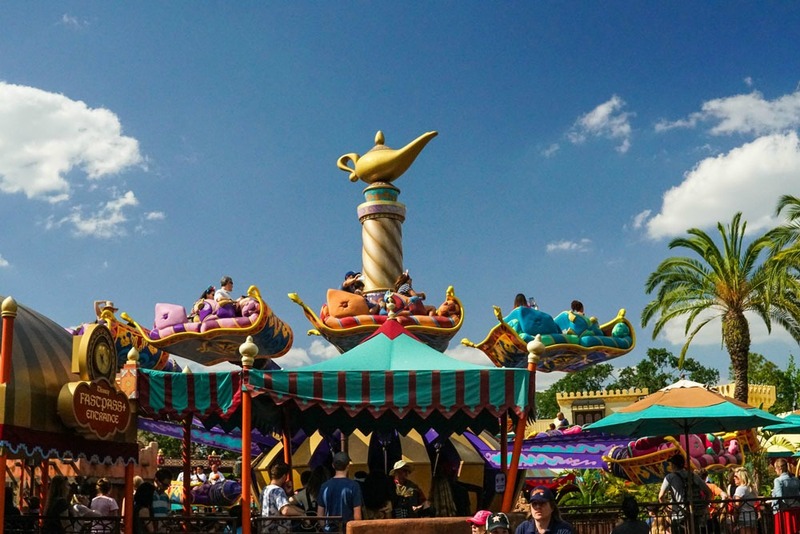 The Magic Carpets of Aladdin has you take flight over Agrabah on an 'enchanted' carpet. 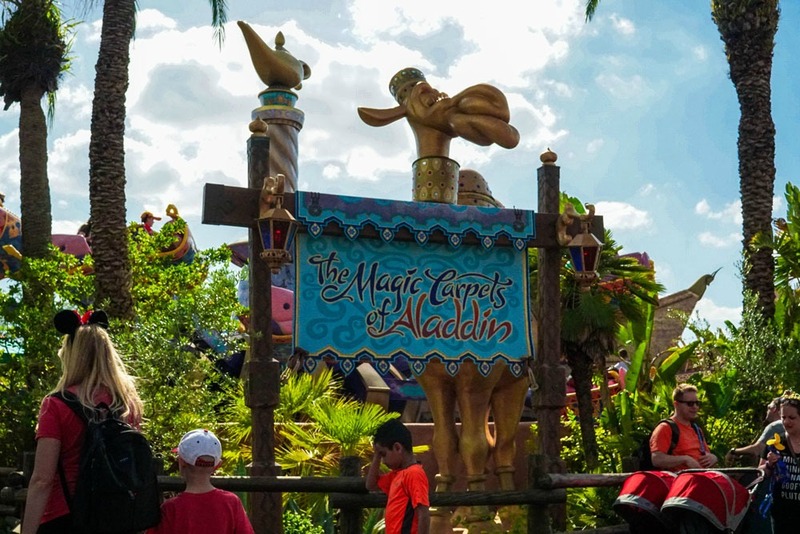 The sixteen 'rugs' surround a giant Genie lamp. The riders in the front seat control the up and down motion, while the back seat controls the pitch of the carpet from front to back. There are some attractions that you do once, and this falls into that category. If you have little ones, they'll probably like it but if time is tight, you're better off fitting in another ride other than instead of this one. Adventureland isn't known for 'wide open spaces' and this attraction makes the congestion worse. Still, if you're not too busy dodging strollers take a look down. There are some 'gems' imbedded in the walkways. Handicapped Accessibility: Guests in wheelchairs must be able to transfer in order to ride. Fun fact: You'll want to keep an eye on those camels. They'll "spit" on you when you're least expecting it!